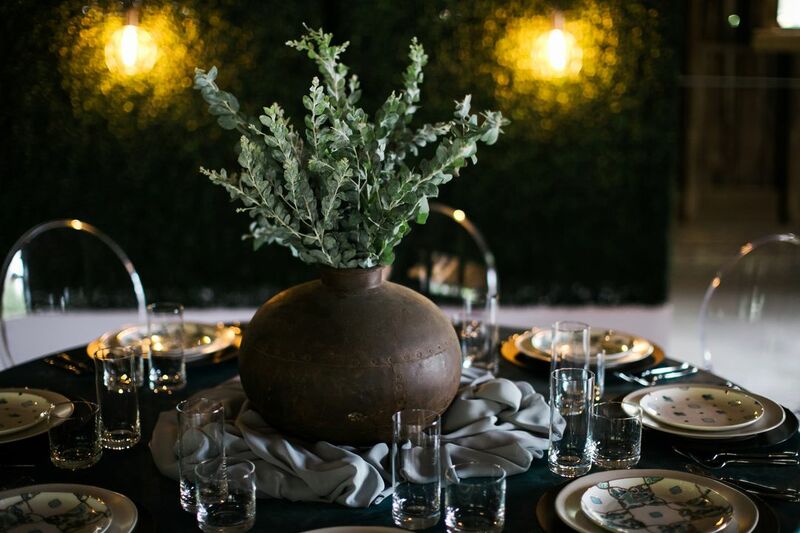 Here at Southern Events, we love a modern tablescape! While modern can sometimes mean stark or cold, your table design can have a modern feel and still be elegant and timeless. With earthy elements, luxe fabrics, clean lines, and ghost chairs, we created three modern Southern tablescapes to inspire you. 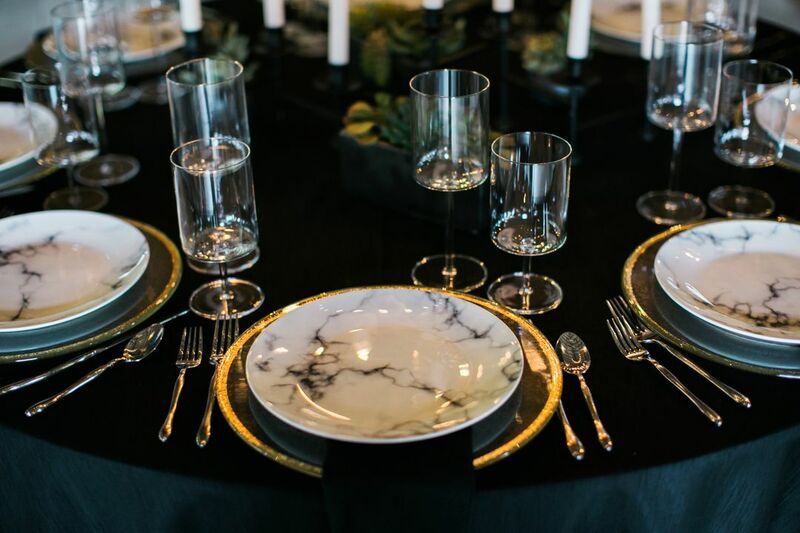 Moody and glam, our modern luxe style features our Black Dupioni Linen, Carrera Marble Dinner Plates, Cybil Glassware, Sofia Flatware and Glass Chargers with Gold Rim. 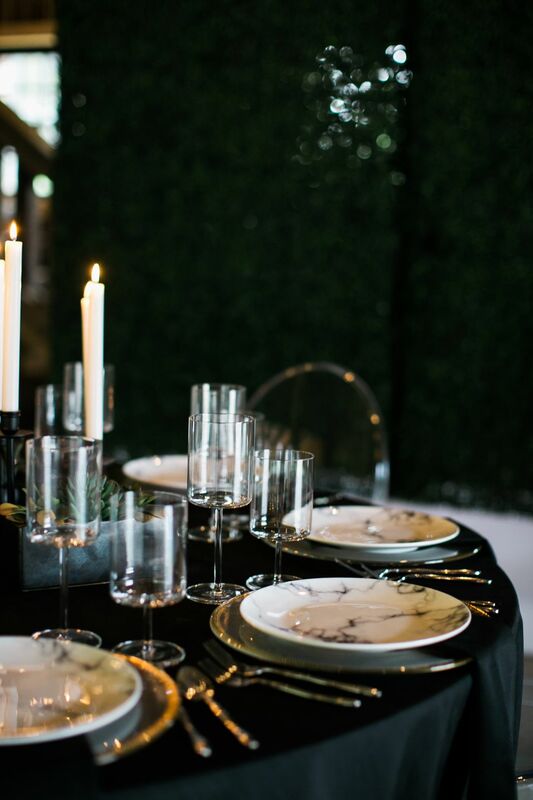 Taper candles in a sleek iron candle holder with carefully placed succulents as well as our Acrylic Armless Ghost Chairs, give this tablescape it’s modern lines while remaining understated. 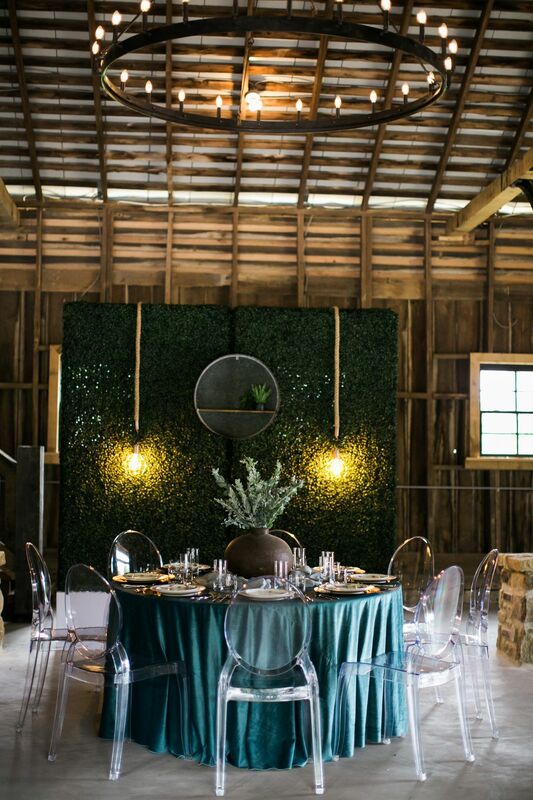 This table design would be perfect for a black tie gala, fundraiser or chic rehearsal dinner. 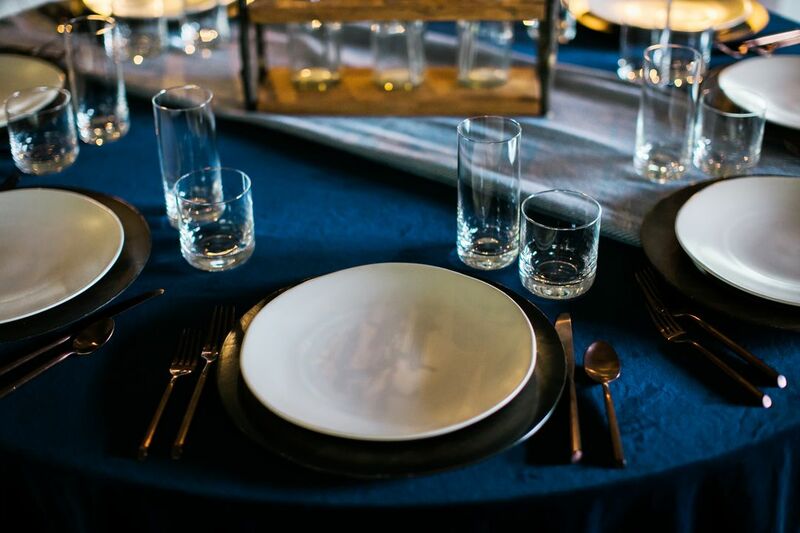 Navy linens, relaxed china & glassware combine with an airy centerpiece and copper flatware to create a tablescape perfect for dining al fresco! 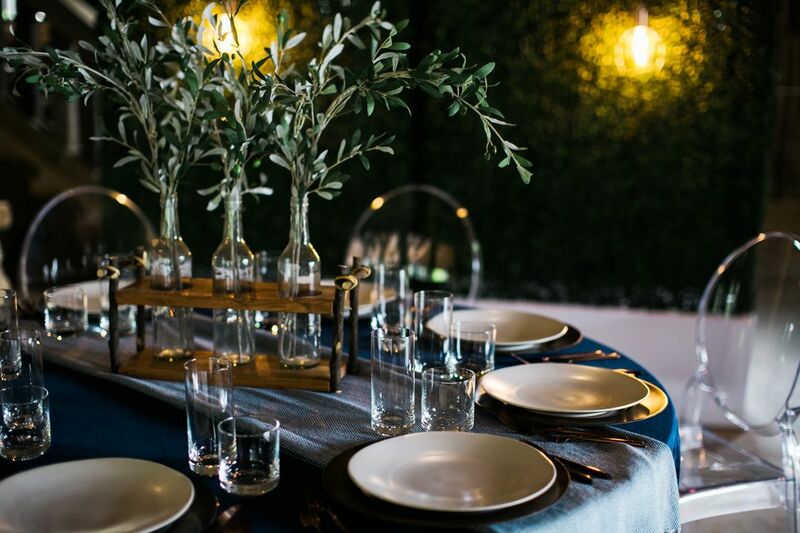 For this modern seaside-inspired Southern tablescape, we used our Navy Blue Velvet Linens, Earthen China, Davis Glassware and Brushed Copper Flatware. 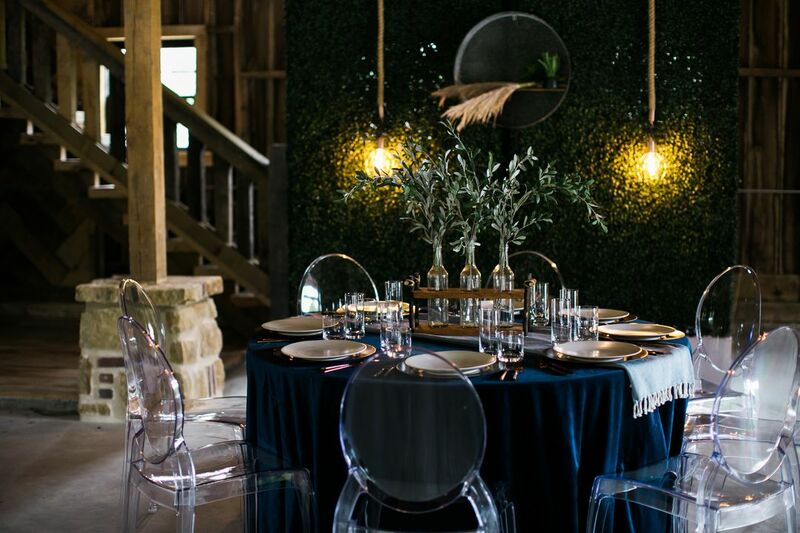 Our Acrylic Armless Ghost Chairs once again keep this relaxed tablescape modern. 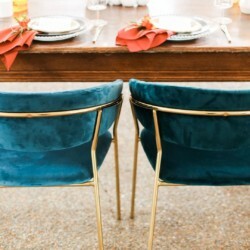 Plus, we love using navy as a neutral, especially when it’s velvet. 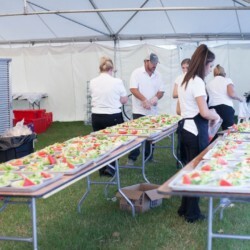 Give your event a modern Tuscan feel! 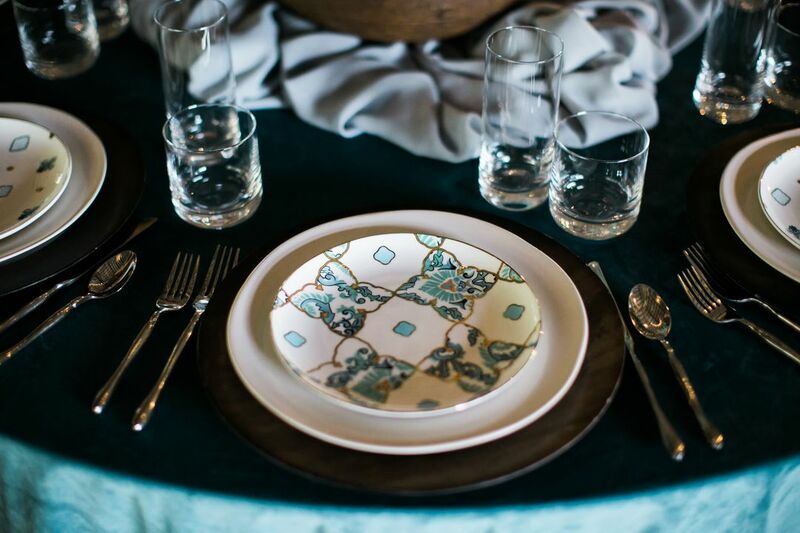 With patterned dinnerware, aqua linens and an oversized, this modern southern tablescape just needs wine! 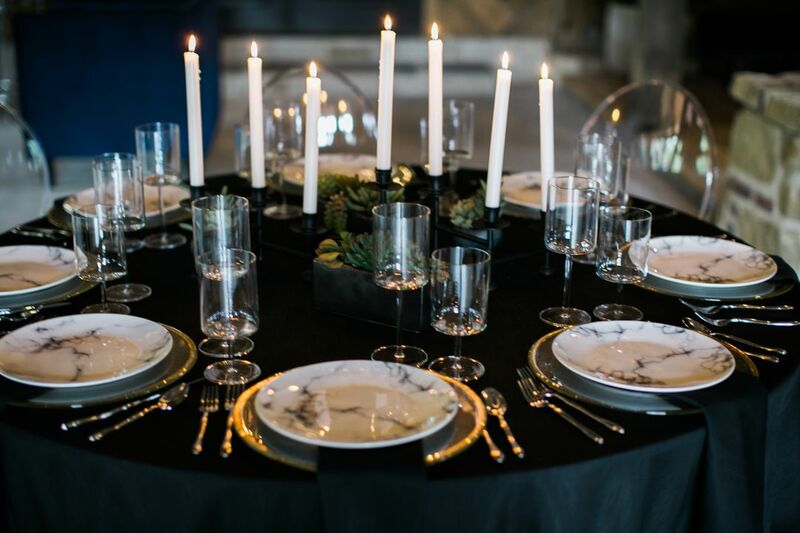 Featuring our Coronado China, Earthen China, Sofia Flatware, Davis Glassware, Ocean Blue Velvet Linens, Dove Gray Chiffon Runner, and Acrylic Armless Ghost Chairs. 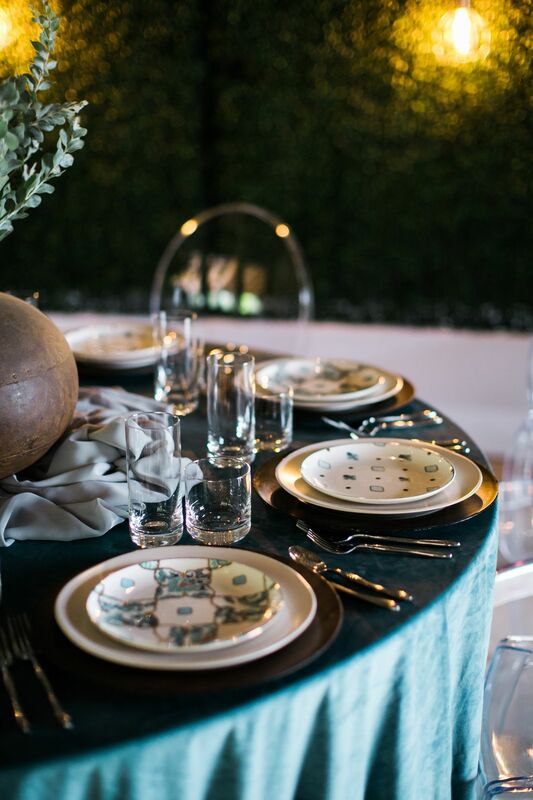 The bold linen and coordinating china are reminiscent of Italy art and flair, while the simple centerpiece and glassware keep this modern look the perfect fit for outdoor garden events, dinner parties and springtime wedding & baby showers. Looking for more style inspiration? 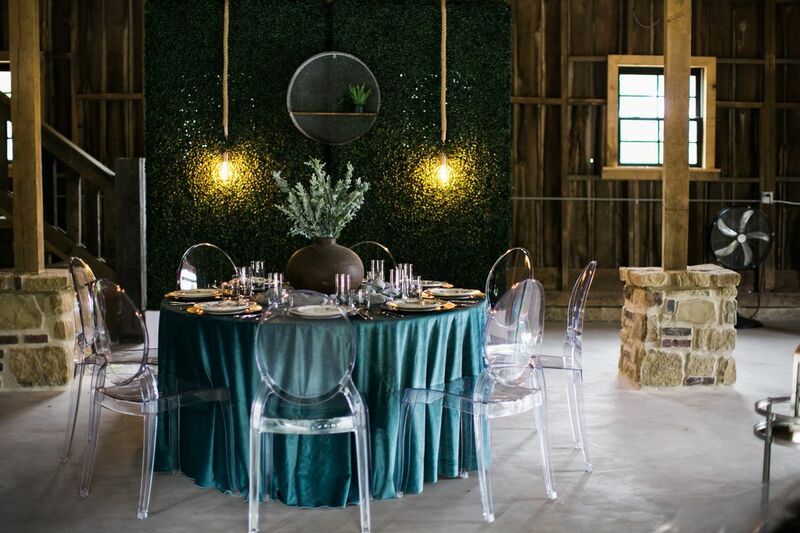 Our galleries feature various rentals based on type and style of your event.